Why a Limousine or Party Bus to Royal Oak? 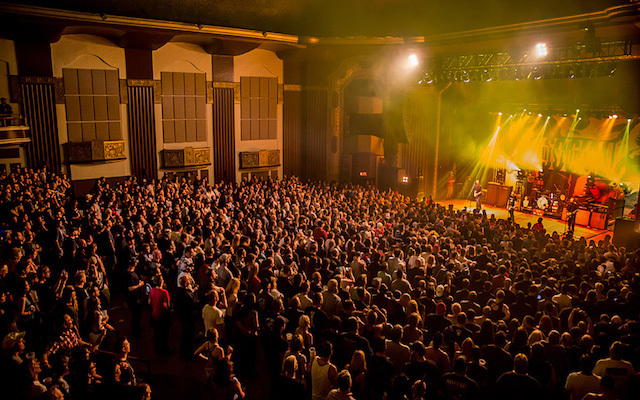 Royal Oak is a Mecca of downtown street side entertainment- from shopping, to the theatre, craft breweries and distillers to fine and casual dining and more. With so much to do concentrated in such a small area- parking is extremely difficult to come by, and despite the city trying to expand it’s efforts- parking is still one of the biggest challenges in Royal Oak. 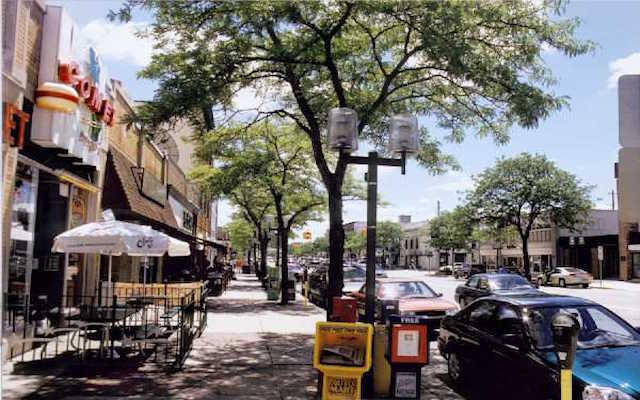 When viewing Royal Oak on a map- it seems like a “walkable” place to spend the day- but in all actuality- there are about 6 MILES of combined storefronts, bars and restaurants to cover on foot! Trying to have lunch on one block before shopping for 3 blocks then drinks and appetizers in another 2 blocks followed by cocktail hour another block away and dinner 4 blocks……….whew- I think you get it. So lies the challenge, sounds exhausting spending a day or evening there, and what if it’s just meant to be a prelude to an event in Downtown Detroit? Not sure you would even make it to the main event after enjoying Royal Oak’s many offerings. Let Varsity Limousine Services solve one of the biggest challenges in seeing all that Royal Oak has to offer, and having the energy left to enjoy it all to it’s fullest extent. At Varsity Limousine Services- we will ensure you can see it all without the frustration of lacking street side parking spots, long walks to and from parking garages- or even remembering which public parking lot you left your car in- let alone whether the parking meter has expired while you’re a mile away and on foot. Whether it’s just you and your significant other- or a large group of friends or family- consider Varsity Limousine’s Party Bus Rentals to take ALL of you, in our first class Party Bus Rentals and drop you all off at the front doorstep of one spot after the next. The Party Bus Rentals from Varsity Limousine Services are brand new with the latest luxury and technology options, and will make it a night to remember for all! Travel in style with Varsity Limousine Services – you and yours will be happy you did. Varsity Limousine has you covered for a night out for drinks with our Limousine Services for your Royal Oak Party Bus Rentals. 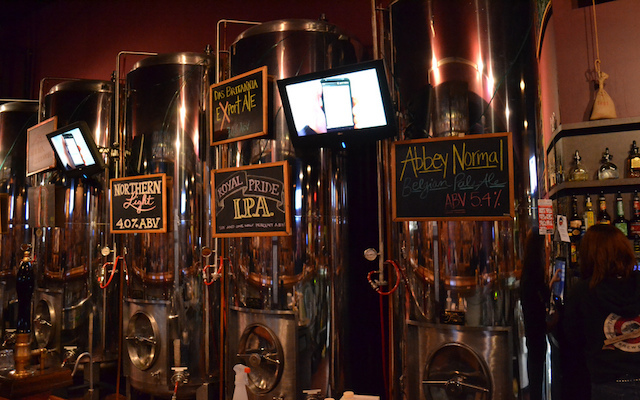 There are so many cool pubs, bars distillers and craft breweries in Royal Oak to see. Taking a Party Bus or Limousine to Royal Oak is the safest and most efficient way to see all of the specialty watering holes that Royal Oak has to offer. Let Varsity Limousine Services take the worry out of your transportation needs so you can enjoy many, many types of unique drinks around downtown Royal Oak and not have to be worried about the drive home- enjoy yourself! 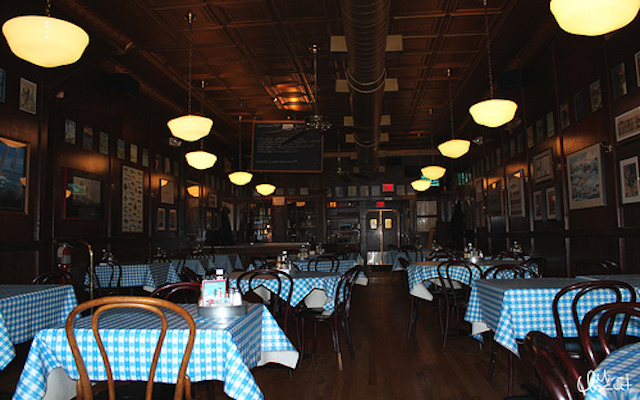 Royal Oak has over 60 restaurants in a 3 square mile area for dining out. There is every type of atmosphere that you can imagine for enjoying casual, fine dining, ethnic specialties or just having some drinks and an appetizer- there are more options than your stomach has room for in a single night on the town. Taking Royal Party Bus Rentals or Limousine Services to go out for a great meal will ensure everyone’s menu needs are met no matter what you are craving that night. Let Varsity Limousine Services make it an extra special for everyone in your party- or just the two of you. The entertainment options when using Royal Oak Party Bus Rentals are truly endless. You can see a movie after a quick drink and appetizer at the Imagine Theatre. Or how about some live entertainment by national acts at the Royal Oak Music Theatre? Taking a Party Bus or Limousine to go out to for some live entertainment with friends in Royal Oak is a great night on the town. There are even local entertainer options by visiting Stagecraft’s or the Main Art Theatre. Varsity Limousine Services ill certainly make it a memorable performance regardless of the show or shows you attend that night. Royal Oak offers an exclusive shopping experience for some of the most artistic or crafty items you can buy. Whether you’re searching for clothing, art, jewelry, decorations for your home or even rare books and antiques- taking a Party Bus or Limousine to shop with friends can be a totally unique experience, and you can store your purchases safely on the bus. Varsity Limousine Services offers front door service Royal Oak Party Bus Rentals to the most exclusive shopping districts in the Greater Detroit Area. Save your energy for shopping by allowing Varsity Limousine Services the opportunity to drop you off at the front door of the coolest shops in the area. No need to worry if your next shopping stop is a block or two away- your ride be waiting outside for you and take you there pronto!